We have a variety of metals in stock including steel, aluminum and copper. If we don’t have it... we can get it! We have a fully functioning metal fabrication shop capable of bending just about anything for your roofing or siding project. We can also fabricate metal for glass and storefront contractors! 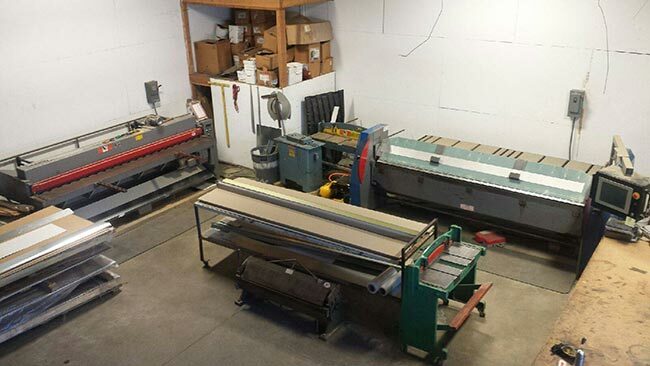 We have a 10 ft. metal shear and a computerized 10 ft. power brake which bends up to 16 gauge steel.